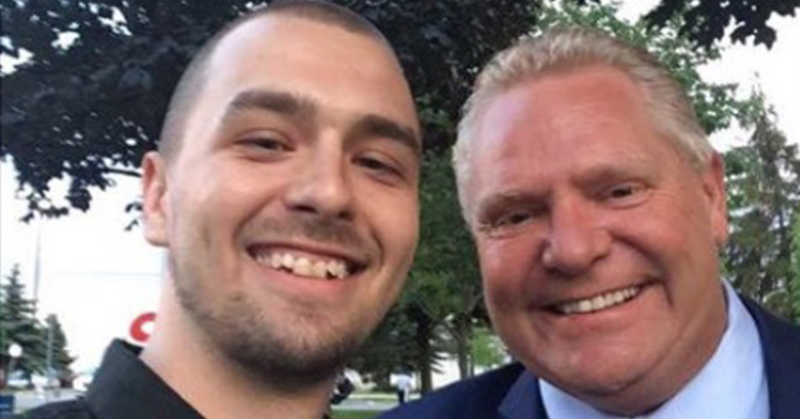 Doug Ford’s handpicked candidate in London, Ontario holds very extreme views. Before he was personally appointed by Ford to run as the Ontario PC candidate in the riding of London West last month over the objections of local grassroot party members, Andrew Lawton was a right-wing radio host with a podcast on Ezra Levant’s controversial alt-right Rebel Media website. During a March 2016 episode of the Ontario PC candidate’s Rebel Media podcast, Lawton weighed in on the question of free speech on campus. Following a monologue accusing universities of “censoring” anti-abortion groups and recalling the time he organized a university speaking tour for US far-right author Ann Coulter, Lawton said he believes every single question imaginable should be open for debate – including Holocaust denial. 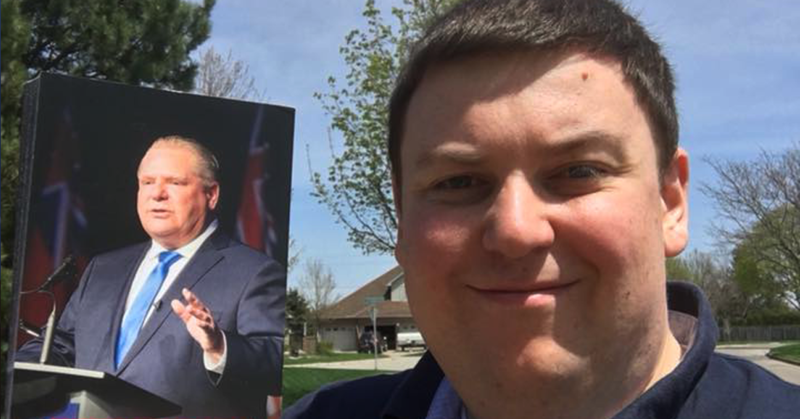 “I would darn well hope that no group in that situation would ever say (Holocaust deniers) don’t have that right to make that appeal,” the Ontario PC candidate said. Lawton previously attributed his past conduct to “struggles with mental illness” between the years 2005 and 2013. • On a March 2016 episode of his Rebel Media podcast, Lawton argued racial and gender discrimination should be legal in Canadian workplaces. • On a January 2016 episode of his Rebel Media podcast, Lawton stated that German women “deserve” to be raped as a consequence of Germany’s refugee policies. • On a February 2016 episode of his Rebel Media podcast, Lawton told alt-right YouTuber Faith Goldy that moves to extend equality to women can be described as the “pussification” of Western society. • In 2010, the Toronto Sun credited Lawton with leading an initiative to “start a Tea Party movement in Canada” modelled after right-wing groups in the United States.